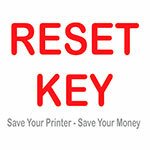 Buy Reset Key on-line. Buy Resetter. Buy Reset Code. | | WIC Reset Utility. Reset the Waste Ink Pad Counters by WIC. – You have read carefuly About WIC description. We offer few payment ways You can buy the Reset Keys. Pay by Credit Cards Visa, Master Card etc. – go to 2Manuals.com store, select the quantity of Reset Keys You need, enter Your Name, email and pay by Credit Card or WebMoney. Pay by PayPal and other local payment systems in Your country (select from list You can see there). Pay by Western Union (contact us first with Your request). Go to preferable payment way you want to pay and select keys quantity to buy with discount.